For a limited time enjoy lower rates and experience our resort plus fun area activities. save more by booking online. 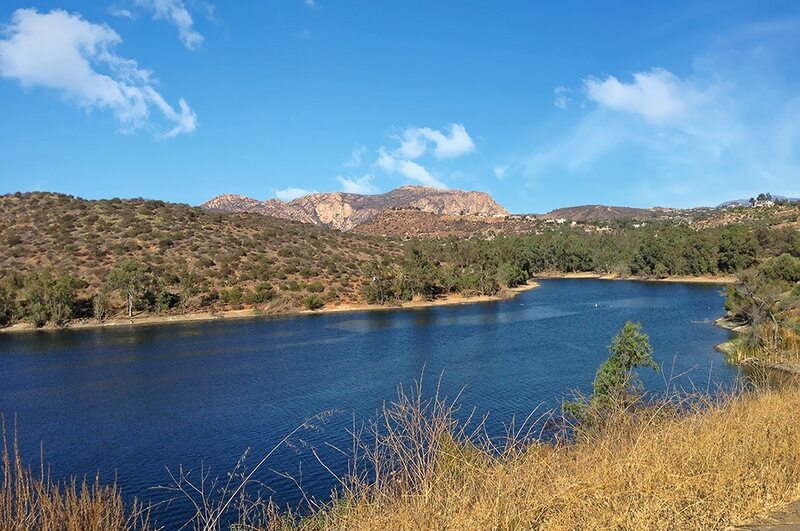 When you’re looking to escape to the outdoors, pull in to Oak Creek RV Resort, hidden in the foothills of the El Capitan Preserve and the Cleveland National Forest. A short distance from the heart of San Diego, Oak Creek RV is a safe haven to rest your head. Disconnect for a while, and take advantage of our resort amenities while you’re here. Venture up into nearby hills for a breathtaking hike, or take a drive to Lake Jennings for a day of fishing. Whichever road you travel, RV without bounds. I relocated to the San Diego area for one year for business in 2017. I chose to purchase a travel trailer rather than live in an apartment. I did a fair amount of research and chose Oak Creek RV Resort. Both of those choices proved to be excellent ones. I chose Oak Creek primarily because I knew that the staff would watch over my property on extended stays back to Phoenix. We initially were going to stay 2 nights but stayed 4. This place is super clean and the staff is very friendly. Manicured grounds that are well laid out. Hard surfaced RV lots for full hook-ups. Heated pool and big jacuzzi. Super clean laundry room at the resort. Park has easy access. Just off Interstate 8. The site was just right for us since we were only here 4 nights so we could visit San Diego. Everyone was friendly and the site was easy to enter. All good hook-ups and with Passport, it was a great value for California campgrounds. If you are looking for a great spot to call home base while working in San Diego then look no further than this place. The staff is helpful, the park is beautiful and quite. Love coming home after work and relaxing in the spa. It's not too far from downtown El Cajon so there is plenty of sites to eat or grab a beer. Everyone around me was a fellow work camper so we all looked out for each other. Will be back soon. Enjoy a year-round heated pool and spa, a gym with cardio machines and weights, a dog run, and more. 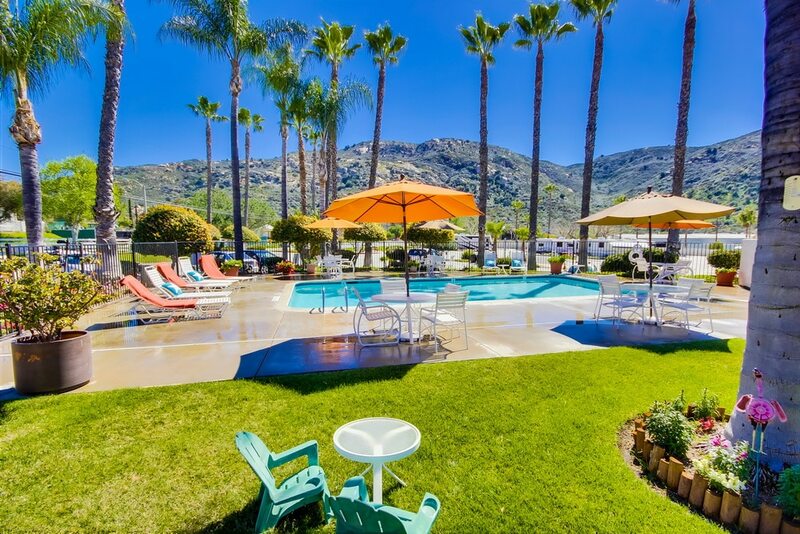 Our resort is the ideal extended stay RV park for those looking to stay at a safe and comfortable resort.